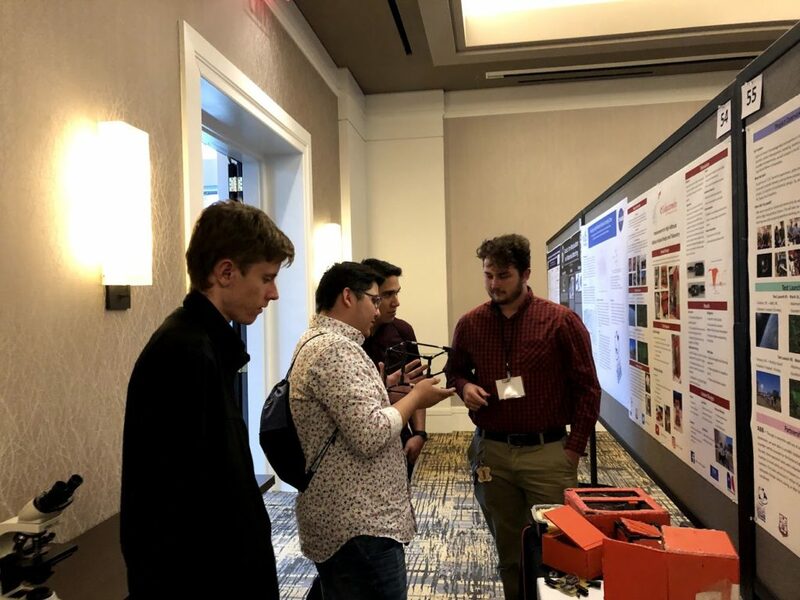 Nash Community College Associate in Engineering students presented research at the NC Space Symposium held at North Carolina State University on Friday, April 5, 2019. 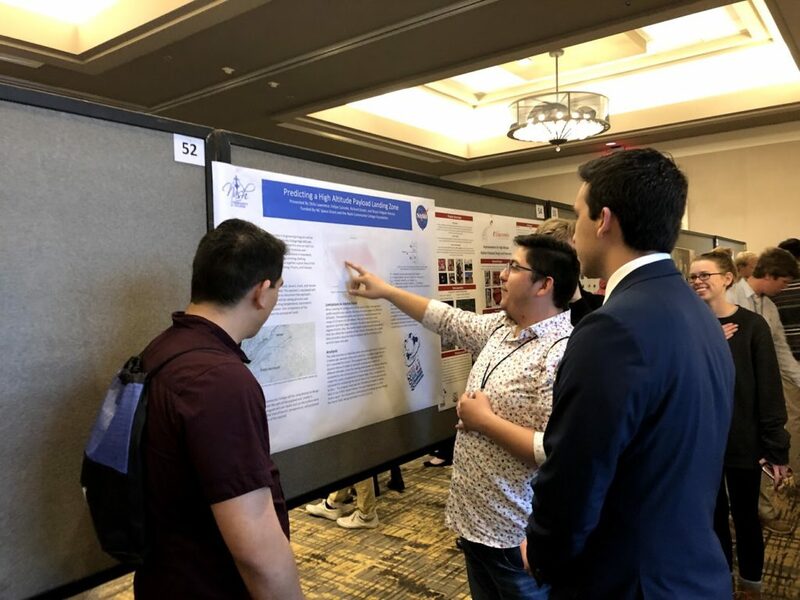 Felipe Caicedo, Bryan Holguin Herrera, and Richard Green contributed a poster at the Symposium – a student-focused event featuring the work of NC Space Grant award recipients, as well as other K-12, community college and higher education students from around the state whose studies are in relevant STEM fields. The symposium featured plenary talks with participants from the space community (NASA, commercial space, aviation, etc.) and student oral and poster presentations. 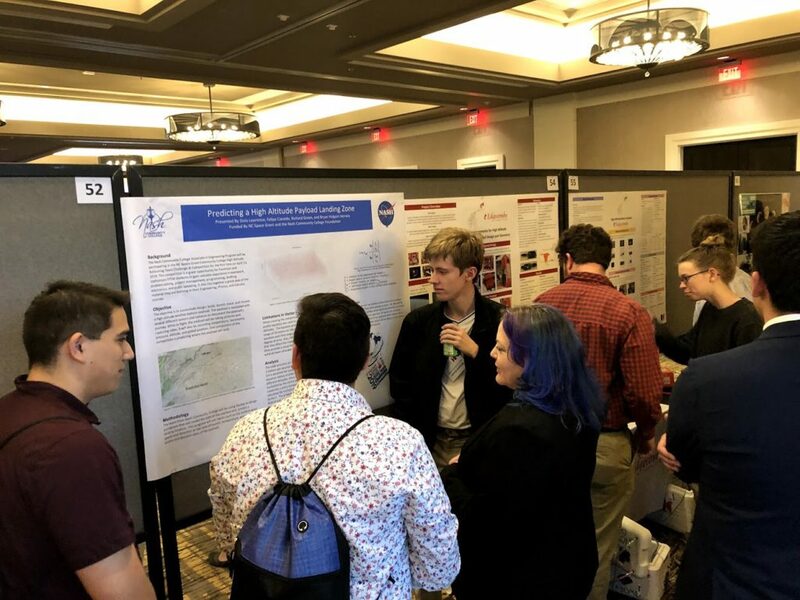 Nash Community College’s student poster displayed some of the research the team has done towards predicting the landing point of their high altitude balloon payload. The research involved the use of mathematics, meteorology, physics, chemistry, and Matlab programming. 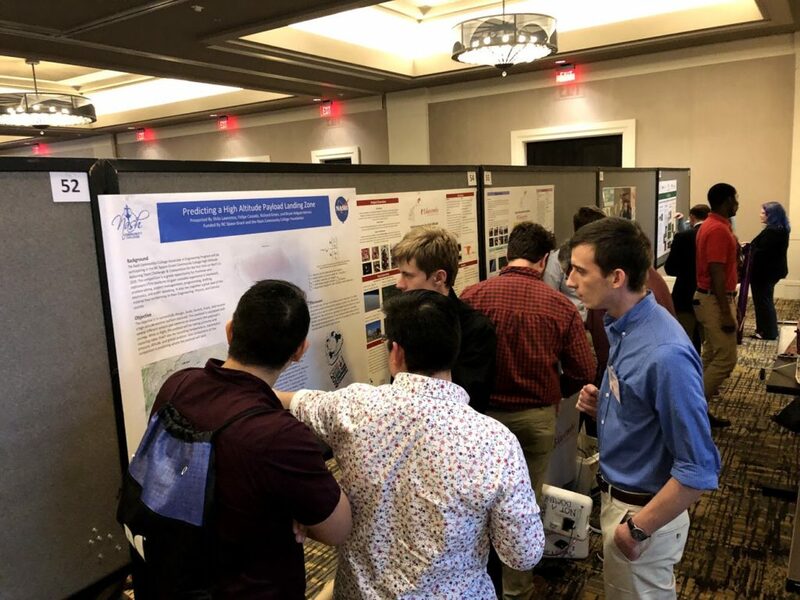 The team was scheduled to travel to Lenoir, NC on Friday, April 12 to launch their payload at the 2019 NC Space Grant Community College High-Altitude Ballooning Team Challenge and Competition, held in conjunction with the Gravity Games. However, the launch was postponed due to weather. The team now plans to launch their payload with Edgecombe CC on Monday, April 22 in Tarboro, NC. This is Nash Community College’s first year competing. Grant funds for the project were provided by NC Space Grant and the NCC Foundation Mini-Grant.